It’s official, summer is here and the people are more active than ever! Don’t believe us? We have thousands of personalized videos to prove it! Here’s a look back at the month of May and all the events we accompanied with our cameras and live personalized video rendering software. The 34th edition of the Vaduzer Städtlelauf offered many highlights to its runners: exciting races, great prizes, personalized finisher clips from iRewind, and thousands of smiling faces! 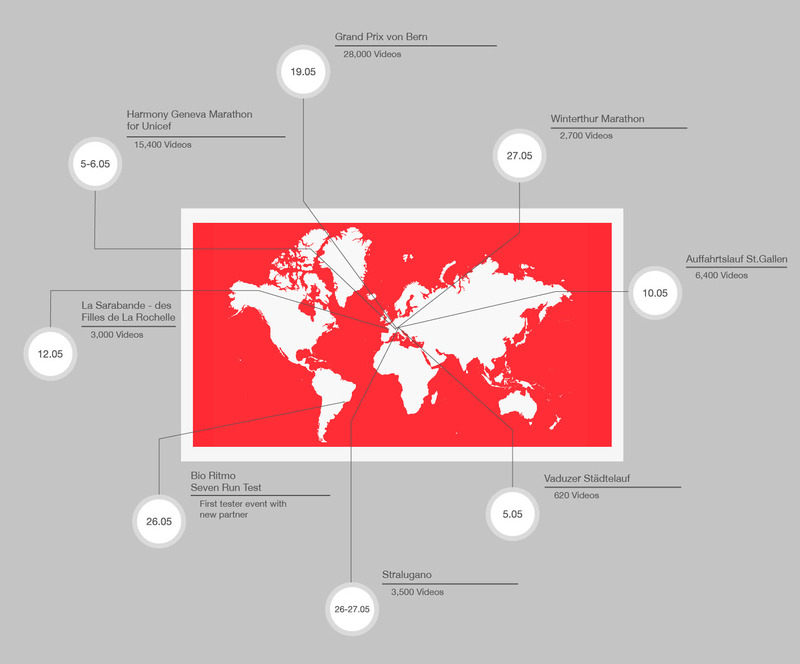 One of the fastest races in Europe, thousands of runners from over 120 places around the world took home their own personalized digital souvenirs of their race. Migros, one of the leading retail brands in Switzerland, activates a runners series every year through its Migros MyRun brand. This May, it successfully hosted four runs throughout Switzerland, all of which featured personalized video giveaways from iRewind. You can find your personal Migros MyRun video here. On May 10th, the 5th iteration of Ascension Day Run St. Gallen, more than 7,500 runners dashed through the city despite the rainy weather. The participants each received their own digital souvenir. At the 37th annual Grand Prix in Bern, 28,000 runners received personalized marathon videos of various moments of their run, from the start to the finish line. The half marathon that took place in Lugano on the weekend of the 26th was a sight to behold. The course was full of runners, who were all focused on living their great moment while being filmed by our cameras. If you ran the 20th Winterthur Marathon, the greatest moments of your run were captured by one of our shiny red cameras. Girl power! Now in its 17th edition, 3,400 wonder women ran either the 5 or 10km course and took home videos of their progress in Rochelle, France. The second edition of Seven Run, the Iguana Sports night race in São Paulo, Brazil, offered three different track lengths (7, 14, and 21 km) so that runners at any pace can witness their evolution in the sport. This was our first test event with our new partner. Were you at an iRewind event in May? Find your personalized video here. And to stay up to date with all the latest and greatest iRewind news, subscribe to our newsletter.